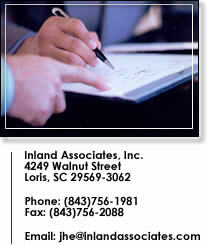 Inland Associates, Inc. is committed to fast, professional, and courteous service. We treat our clients as we would want to be treated. Please fill out the information that applies in the form below and hit the "send comments" button at the bottom of the form. We will contact you as soon as possible.